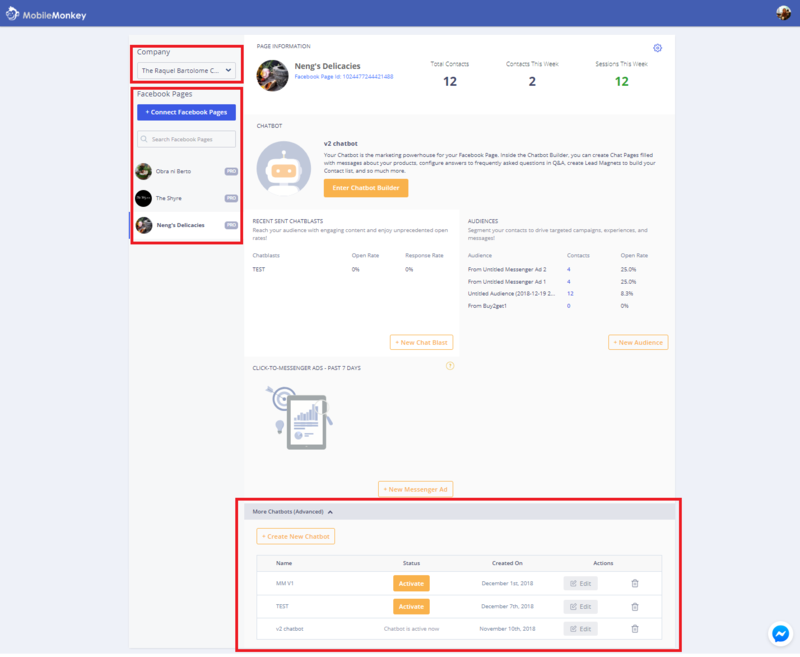 Your MobileMonkey dashboard hosts your individual companies, your Facebook pages, your bots, and more. Your Company is where your Facebook pages are hosted. If you are added as a user to another person's company, their company will also appear in your company drop down. You can switch between companies to access the content of each using the drop down menu. Your Facebook pages are the pages that you have connected within that particular company. Each Facebook page can only be connected to one company. Your Chatbots are the bots that are connected to your Facebook pages, within the company you have selected. 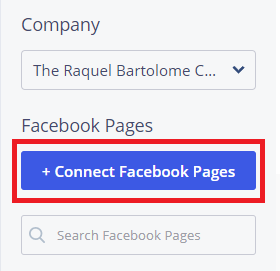 To connect a Facebook page, make sure you have the company you would like to connect the page to selected, and click "Connect Facebook Pages". To create a chatbot, make sure you have the correct company and Facebook page selected, and click "Create new Chatbot".